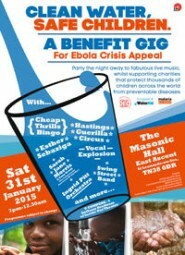 On Saturday 31 January, Hastings and St Leonards will party the night away to live performances and music and at the same time help protect thousands of children across the world from preventable diseases. The fundraiser is the brainchild of Mandy Curtis from St Leonards-based 18 hours production company. The women of Hastings & St Leonards are coming together on Valentine’s Day as part of One Billion Rising, Eve Ensler’s campaign to raise awareness of violence against women. Xaverine Bates explains more about Hastings Women’s Voice & riart Grrrls’ plans.